Site Brand It is an ideal home for all Drupal-driven websites. We offer an automatic Drupal installation right at signup, enterprise-level web hosting servers and a 24-7-365 support service. 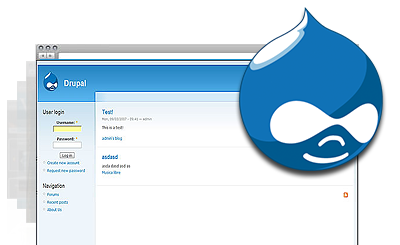 You can get a Drupal-optimized web hosting plan together with a domain name for only $2.91/mo. All Drupal-optimized web hosting packages include a thirty-day money-back guarantee. Drupal™ is a trademark of Dries Buytaert and is not connected with Site Brand It. Drupal hosting made easy with Site Brand It! Site Brand It meets all criteria for hosting Drupal-powered websites. Site Brand It offers an exceptional tech support service.